In considering the type of group to create, it’s both obvious and important that you, yourself, are a member of that group. 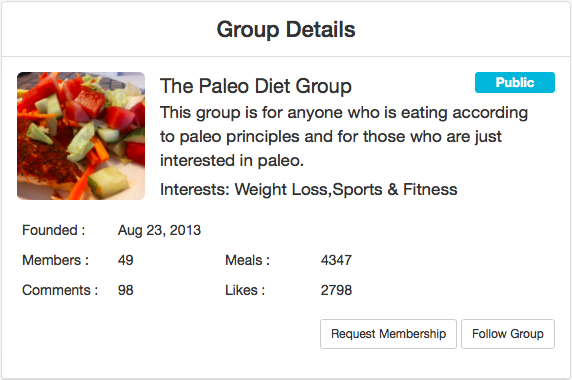 If you don’t eat meat, don’t create a Paleo group. 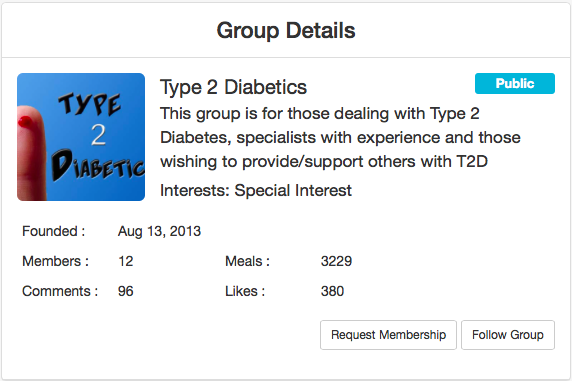 If you bypass gluten, creating a group for people with Celiac could be right up your alley. They key is to be genuinely curious about others with similar food interests as you, people with whom love to exchange recipes, learn about their experience, and so forth. Groups only succeed when members are interested and excited to develop a community. 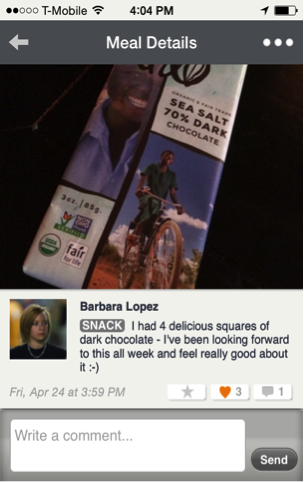 Once you’ve created a group and included a brief description of the group’s purpose, you’ll want to kick things off by uploading your own meals; the good, the bad, and the ugly. Full disclosure is key, and writing in your thoughts about the meal, rather than simply describing the meal itself will prove invaluable in sparking discourse. Consider the caption, “chocolate cake” versus, “I ate chocolate cake because I skipped lunch and was way too hungry by the time I got to eat.” The former is matter of fact and clues no one into how you felt about your decision to eat the cake. The latter opens up the potential for dialogue and mutual support. (If you felt fine about the cake, you can write that too.) Discussing feelings and insights sets the tone for how others will reflect upon their own meals, breathing life into what would otherwise become a sterile newsfeed.